This will accompany my outfit for tonights dinner party. 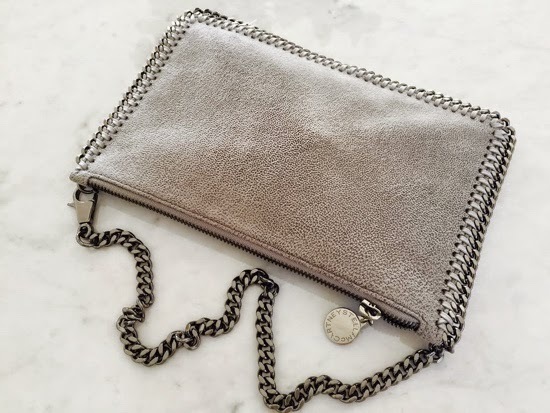 The new clutch from Stella McCartney in grey and with the signature chains for the Falabella line. A perfect evening bag. Gorgeous! I just saw some fab dresses from Ellegalan...loved Amanda Schulmans dress by Stella McCartney.